The market for emergency dentists in Mission Viejo CA is a solid place to find a 24 hour dentist. Emergency Dentists USA provides a 24/7 referral service hotline that is completely free for you to use and going to be the fastest way for you to get in touch with an urgent care dentist near you. Simply call now and you’ll speak with an operator who is trained to find the next available appointment with an emergency dentist in your area, be it in the evening or on the weekend. We also offer a directory service you can find lower down this page, which shows you the direct contact information of a few of the dentists in Mission Viejo who are known to offer after hours appointments. Please use these two options to find the best dentist for your needs. After looking through our directory, if you are struggling to reach a dental professional, be sure to utilize the Mission Viejo emergency hotline we offer to find prearranged appointments with urgent care dentists in Mission Viejo. This telephone service is available 24/7, which means there is always a representative accessible to help connect you with a Mission Viejo urgent care dentist. This very affluent city in Southern California is widely known as one of the largest planned master communities in the country, has been ranked by CQ Press as the safest in California, and ranks high in low crime statistics compiled from FBI data. Here you can see great views of the Saddleback Mountains, and live in a city that has a more than favorable climate by many people’s standards. Top employers here are Mission Hospital, Saddleback College, Nordstrom, and Macy’s. Beautiful courses like the Arroyo Trabuco Golf Club, outdoor activities like surfing and kayaking at Sunset Stand Up Paddle, and prime vistas from the Oso Creek Trail are great things to do here in this community that is only next to Highlands Ranch Colorado in terms of planed size. Nearby Wild Rivers Waterpark also packs a punch in the summer months as a favorite destination to get wet and wild, and enjoy the waterslides and wave pools offered up for awesome recreation opportunities. For a cracked or damaged tooth we recommend the following. Don’t do anything at all before you locate a safe place to hold the cracked pieces of the tooth. Utilizing a cold compress apply pressure to the injured area to slow irritation and prevent the swelling. In this situation, if it is after normal business working hours, find a Mission Viejo emergency dental clinic from the listings down below and get to a dental practitioner quickly. At this website we receive a lot of communication from our patients about specific dental problems, one of those problems is having bitten their tongue or cheek and suffering from a lot of bleeding. In these cases it is suggested to clean the injury using a saltwater solution. Also it is smart to apply a cold compress to the area in order to reduce swelling and pain. Finally please call an emergency dentist or our referral service and get an appointment right away to see if the wound needs more attention. Each of our dental practitioner listings have been checked out and provide emergency dental care at diverse hours throughout the evenings and weekends, each dentist may be available during different hours in evenings as well as weekends. This unique directory is perfect for anyone to help find an urgent care dental office near you, but if you desire to skip the additional work of dialing each and every dentist, utilize the Round-the-clock emergency dental phone line we provide you with and get connected with an after hours dentist in seconds. E-Dentists USA provides a solution for that which was previously a challenging, time intensive matter. 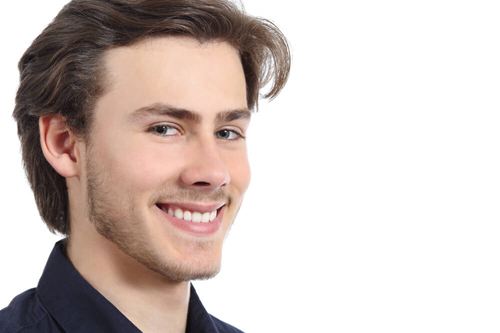 We’ve taken time to complete the investigating to suit your needs through reviewing the emergency dentists in Mission Viejo plus pulling out those that we understand to offer after hours, weekend or evening care. This type of care and attention is growing to be so essential that a little market has long been growing up all around helping people who are not able to reach out and also consult a dental professional in the course of normal company hours. 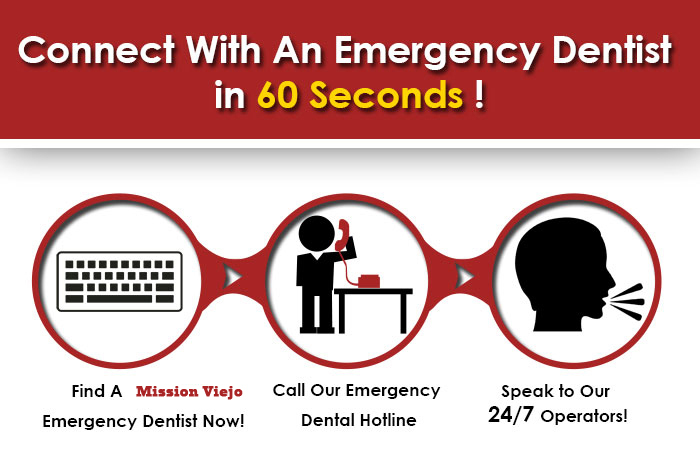 Summary Call now, Round the clock and seven days every week to talk to our emergency dentist Mission Viejo CA phone services. We can easily be useful for finding a dental professional with regard to whatever your current dental care unexpected emergency could possibly be. Be it a evening dental office, a saturday and sunday dental practice, or perhaps a dentist office at any time, we are the Mission Viejo crisis dental center referral service you need to use! The partnerships we’ve designed allow us to become linked to a huge selection of after hours dental practices in the states. Description: Dr. Kurt Schneider: Since 1992, this practice has been making patients feel as if they have been seen by a true dental professional, with a chairside manner that always makes them feel at ease. Dr Schneider competently provides the best in services for active Orange County residents: services like porcelain crowns, bridges, dentures, root canals, emergency dental services and abscess help, gum disease therapy, and tooth-colored fillings are carried out with professionalism and grace. Description: Dr. Shely Del Campo: This practice knows that convenience in the Mission Viejo area is important to you when selecting your dentist of choice, and has always made it a point to make sure patients are well-informed of all their options and potential procedures. From office manager Candy, front office staff Debbie and Kristen, and back office manager Ben, everyone working here plays a very integral part in the well-oiled flow of the office. For emergency dental situations or just standard check-ups, this is a standout choice in the area. Description: Dr. William K. Hui: A very well-established cosmetic and general dental office in the area for over 25 years, everyone here is promised to be treated as an individual, and not just a set of teeth. Every member of the staff has been here for longer then a decade, and this practice thrives on the base of referrals from one satisfied emergency dental or routine check-up visit to another. Once you have become acquainted with your choices with regard to treatment, you ought to pre-plan the next move. It’s going to prove beneficial to create a plan which includes a driver so that you don’t have to handle driving home after your personal session. For all of us with dental insurance plans make sure to be aware before you visit the dental professional if they is going to take the insurance coverage you have. Hopefully this has been a successful effort to find an emergency dentist in Mission Viejo, CA and we were able to assist! Be sure to participate in some investigation of any dental practice you’re planning on visiting, we suggest making use of California Dental Association Page.